The Delta High School baseball field will no longer be nameless. After Saturday’s dedication prior to the DHS annual alumni game, it will forever be known as Jim Harmon Field. And that honor could not have been given to a more important person to the Delta baseball program. “Nothing brings more pleasure to me than paying this tribute to Jim Harmon. 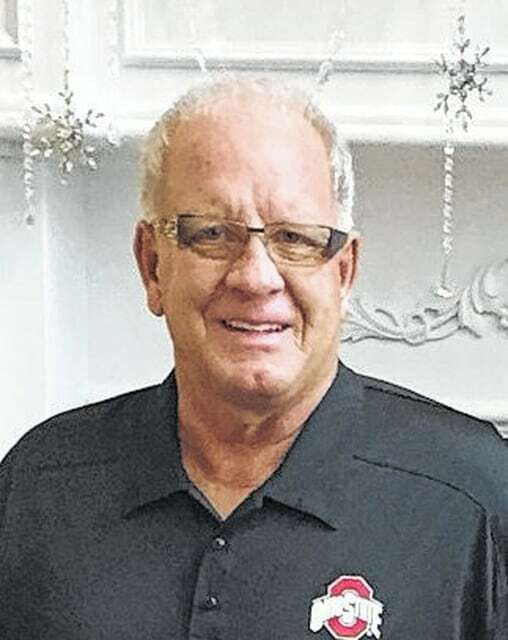 I know his heart is for Delta,” said superintendent of Delta schools and former high school baseball coach Jay LeFevre. Damon Mattimore, the current skipper of the Panthers and alum of the school, also gave high praise for Harmon. Harmon graduated from Delta in 1975 where he lettered all four years as a member of the Panther baseball team. He even led the squad in RBIs as a freshman. But it was during his time serving as Lefevre’s assistant coach from 1991-99 where his bond with the school and community became even stronger. The Pike-Delta-York Board of Education’s policy on naming a school facility after someone has to do with that person and their impact on the school district. It was decided that because of Harmon’s contributions to the baseball field, Delta sports teams besides baseball, financial support to the village, labor on helping to construct the current baseball press box, and time spent as an assistant coach were all acceptable traits for having the field named in his honor. “To have his name on our field, it’s a great honor. What a great honor to a great man,” said Mattimore. The field dedication ceremony will take place Saturday at 4 p.m., and will be followed by the alumni baseball game.